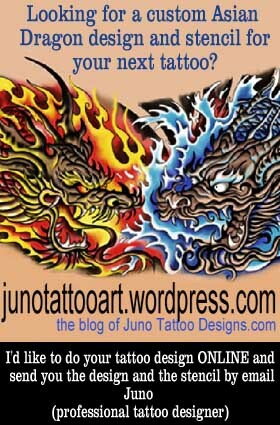 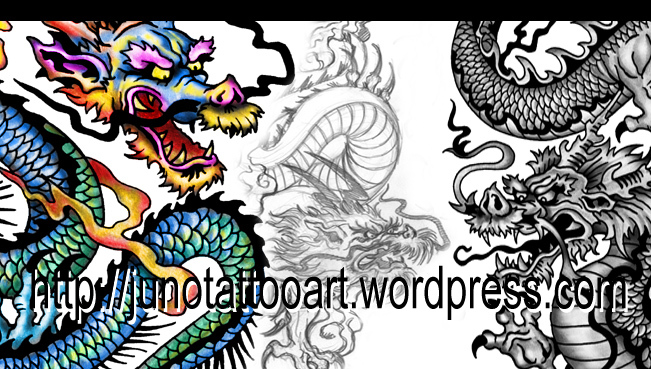 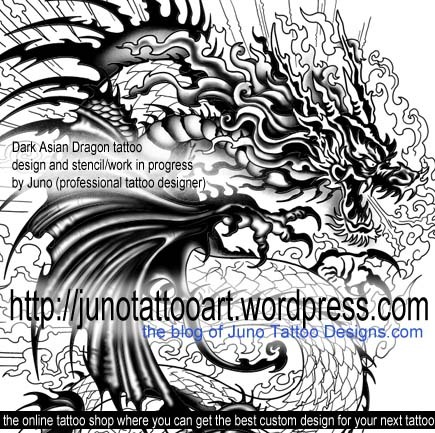 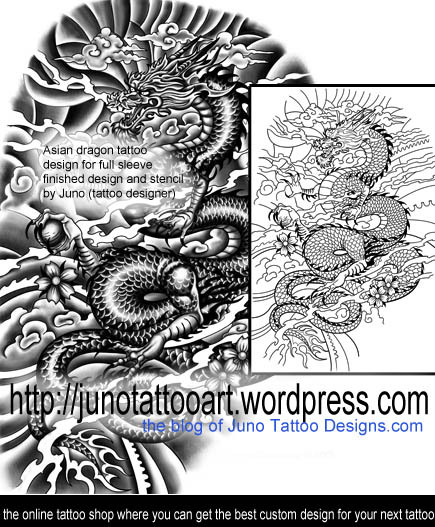 I can do an Asian Dragon design for your tattoo online and send it by email. 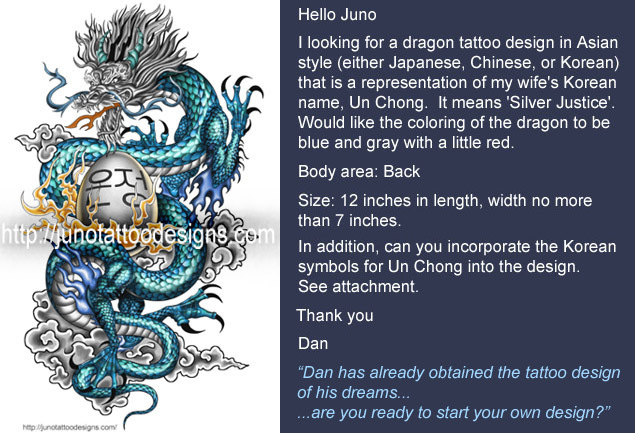 I would like to start the best Asian Dragon design for you NOW! 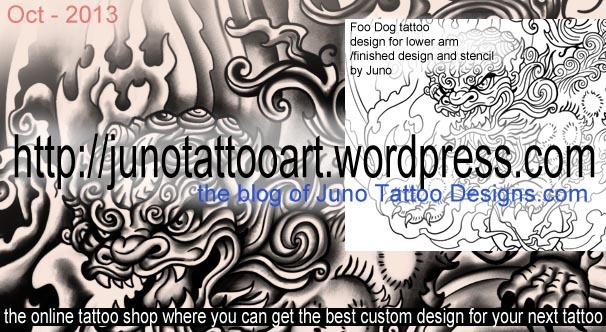 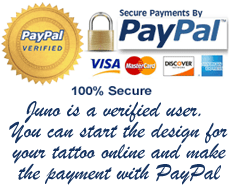 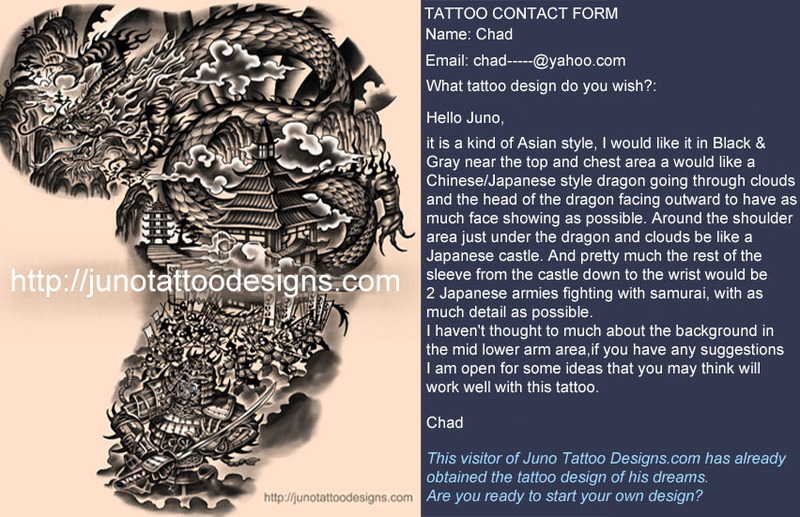 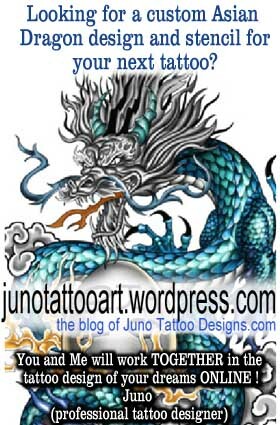 Juno Tattoo Art is the fastest, easiest, comfortable, secure and modern way to obtain a highest quality design for your tattoo.